The Centre Party in turn captured only 13,8 % of the vote (-7,3 %) and 31 seats (-18), its worst performance in elections held after the Second World War. This was essentially a repeat of the 2011 elections. Back then the Centre had held the position of the prime minister for eight years, and also now the burden of governing took its toll. The market-friendly policies of PM Sipilä clearly alienated parts of the party’s electorate, many of whom lean more towards cooperation with the Social Democrats. If the Centre is not part of the next government (as appears likely), Finland may remain without directly-elected regional councils. Sipilä announced his resignation as the party chair after the elections. Turnout was 72,1 %, or 68,7 % when including enfranchised citizens living abroad. 94/200 (47 %) of the elected MPs are women. Finland heading for another coalition between Social Democrats and the conservatives? In Finland the elections to Eduskunta, the unicameral national legislature, are scheduled for 14 April, with the European Parliament elections following in late May. Unfortunately this also means that European elections will definitely be ‘second-order elections’, with the political parties and the media investing their resources in Eduskunta elections and in the government formation talks that follow them. With just over a month to go, it appears that the Eduskunta election campaigns will be dominated by a single topic – the reorganization of social and health services. It is essentially a deal between the two main coalition parties, Centre Party and the National Coalition, with the former getting directly-elected regional councils (the Centre wins most of its votes in the rural areas of the country) and the latter in turn ensuring a larger role for the private sector in delivering social and health services. However, the process with all its twists and turns has dragged on, and it is becoming increasingly clear that all the required legislation cannot be approved before the April elections. In fact, the whole package may fail, especially as there is stronger criticism from within the governing parties, with several of their MPs already indicating that they will vote against the laws in the Eduskunta. Recently there has also emerged a wave of scandals concerning nursing homes and other facilities operated by private companies: public authorities have intervened, reprimanding companies for inadequate staffing and overall poor treatment of the occupants, and even enforcing the closure of some of the facilities. It is perfectly understandable that the project has produced heated debates within and between parties, not to mention in the society at large. Finns are used to a high level of social protection and to health services being delivered mainly by the public sector, with the welfare state regime enjoying strong support among the population. To be sure, municipal councils that are responsible for providing the services have increasingly been purchasing them from private companies, but as the above-mentioned scandals indicate, there are genuine concerns about the quality of social and health services. The government has been arguing that the new system would be cheaper, but economists are not convinced. Also the introduction of directly-elected regional councils would involve a significant transfer of decision-making authority from municipal councils upwards to the regional level, and hence many fear the erosion of local democracy. Whatever the merits of the planned reform, the timing could not have been worse for the cabinet. The Finnish party system is very fragmented, with the largest party normally getting at most 20-25 % of the votes. The latest poll, conducted by the leading daily newspaper Helsingin Sanomat from 14 January to 14 February, puts the Social Democrats in the first place with 20,8 % of the vote. If the SDP holds on to its lead, this will be the first time that the Social Democrats are the biggest party since the 1999 elections, and hence also the first time that Finland would have a centre-left prime minister since 2003. In the 2015 elections SDP captured only 16,5 % of the vote, its lowest share ever in Eduskunta elections. Social Democrats have criticized heavily the planned reorganization of social and health services, not least on account of the reform providing a bigger role for the private sector in delivering the services. However, for the most part SDP and the other opposition parties have basically been content to sit back and let the government make its own mistakes. But whether the Social Democrats manage to keep their pole position depends on the final weeks of the campaign and on how the party leader Antti Rinne performs in the main television debates. Rinne just returned from a two-month sick leave, and there is general agreement that his past appearances in such debates have left considerable room for improvement. Rinne has a trade union background, and SDP will no doubt also emphasize employment and other labour market issues in its campaign. The National Coalition came second in the poll with 18,6 % of the vote. The party is seen as the ally of large private companies, and thus it is logical that leading party figures, including party chair Petteri Orpo, have tried to divert attention to other issues. The Sipilä government has by and large achieved its main goals regarding employment and competitiveness, and the National Coalition has warned about the potential economic consequences of a SDP-led cabinet. While the National Coalition and the Social Democrats are currently fighting hard for the position of the prime minister, the two parties have also considerable experience from governing together (1987-1991, 1995-2003, and 2011-2015). The Centre Party is in serious trouble, with the Helsingin Sanomat poll predicting the party winning only 14,7 % of the vote. This would be major loss for the party – it emerged victorious in 2015 with 21,1 % of the vote – and in line with the setback experienced in the 2011 elections. Back then the Centre had held the position of the prime minister for eight years, and also now the burden of governing seems to take its toll. The market-friendly policies of Prime Minister Juha Sipilä have clearly alienated parts of the party’s electorate, many of whom lean more towards cooperation with the Social Democrats. Hence it is not surprising that over the past few weeks Sipilä has focused in his speeches on issues close to the heart of rural voters, not least on the question of forest harvesting where Sipilä has defended increased use of forest resources. If the Centre is not part of the next government, Finland may remain without directly-elected regional councils. The third cabinet party is the Blue Reform, formed after the split inside the Finns Party in the summer of 2017. The party has found it difficult to establish an identity somewhere between the hard-line anti-immigration views of the Finns and the mainstream centre-right parties, and according to the Helsingin Sanomat poll its support was only 1 %. The support of the Finns Party has meanwhile been on the rise, with the recent poll giving it 11,4 % of the vote. Party chair and MEP Jussi Halla-aho is surely hoping for immigration and multiculturalism to become the main topic in both the Eduskunta and the European Parliament elections. Here the party may benefit from recent multiple abuse cases involving iimmigrants, with the victims including under-age girls. Halla-aho himself is seeking a return to the Eduskunta in the April elections. Of the other opposition parties, the Green League appointed Pekka Haavisto, a popular and senior party figure with long experience from both national politics and international organisations, as its interim leader in November when Touko Aalto was forced to resign as party chair due to health issues. Haavisto, who was also the Greens’ candidate in the 2012 and 2018 presidential elections, intends to step down in June when the Greens have their next party congress. Under Haavisto the Greens have improved their ratings, with the Helsingin Sanomat poll indicating 13,6 % of the vote. This would mean a substantial victory for the Greens, as the 8,5 % achieved in the 2015 elections was their best-ever performance in Eduskunta elections. Climate change and education are the pet themes of the party, and such topics are likely to appeal to particularly urban, younger voters. The Left Alliance also has a popular party chair, the energetic Li Andersson. Under her leadership, the party’s election manifesto centres around equality, justice, and the need to prevent poverty. In the Helsingin Sanomat poll the party’s support was at 8,7 %. The Swedish People’s Party received 4,3 % and the Christian Democrats 4,0 % of the vote in the Helsingin Sanomat poll. At this stage it appears most likely that the new coalition will be formed between the Social Democrats and the National Coalition, and that it will include also smaller parties such as the Greens and the Swedish People’s Party. The centre-left parties (Social Democrats, Left Alliance, and arguably also Greens) look set to perform much better than four years ago, and this is potentially also good news for the trade unions that have been the target of strong criticism during the reign of the Sipilä government. However, in terms of the overall direction of domestic or European and foreign policy, the elections will not produce any significant changes. This applies also to foreign policy leadership which constitutionally is shared between the president and the government. None of the prime ministerial candidates are known for their expertise or interest in foreign affairs questions, and hence the highly popular President Niinistö is likely to retain his strong position in Finland’s foreign and security policy. This entry was posted in Finland on March 11, 2019 by Tapio Raunio. Late spring 2019 looks set to become a busy and important period for Finnish political parties. The elections to Eduskunta, the unicameral national legislature, are scheduled for 14 April, with the European Parliament elections following in late May. There is also still the chance that the first regional elections ever held in the country would take place on the same day as the European Parliament elections. However, for that to occur, the necessary legal reforms related to the reorganization of social and health services and the establishment of the new regional councils would have to be approved by the Eduskunta around six months prior to the election day. Hence the current prediction is that the regional elections will not take place in the spring. The Finnish party system is very fragmented, with the largest party normally getting at most 20-25 % of the votes. The latest poll, conducted from 10 September to 2 October, puts the Social Democrats in the first place with 22,6 % of the vote. This would be the first time that SDP would be the biggest party since the 1999 elections, and hence also the first time that Finland would have a centre-left prime minister since 2003. The party chair, Antti Rinne, has obviously criticized heavily the contested project of reorganizing social and health services, not least on account of the reform providing a bigger role for the private sector in delivering such services. Rinne, who has a trade union background, has also together with the unions been strongly questioning the government’s policies aiming at improving economic growth and competitiveness. However, for the most part Rinne and the other opposition leaders have basically been content to sit back and let the government make its own mistakes. The reorganization of social and health services has indeed caused serious turmoil also inside the cabinet. Basically the project is a deal between the Centre Party and the National Coalition, with the former getting the regional councils (the Centre Party is likely to perform strongly in regional elections given its often dominant role in the rural parts of the country) and the conservatives wanting to increase the role of the private sector. The two parties have been questioning each other’s commitment to the project, with particularly individual MPs of the National Coalition voicing strong public dissent of the reform as they doubt its economic benefits and also are concerned that the various constitutional constraints mean that the role of the private sector would in the end be much smaller than initially planned. According to the latest poll the National Coalition would finish second with 18,9 % of the vote, while the Centre Party would come third with 17,6 %. Apart from losing support on account of leading the government, supporters of the Centre may be worried that the party is heading in a too market-friendly direction under the leadership of PM Juha Sipilä. The third governing party, the Blue Reform, is truly anxious as its support is only 1,1 %. The party was established following the split inside the populist Finns Party in summer 2017 when the Finns elected the MEP Jussi Halla-aho as its new leader. Halla-aho, who has been convicted in court for hate speech, and the entire new party leadership focuses strongly on immigration issues, and hence Halla-aho will no doubt make his best to push immigration to the campaign agenda. The latest poll shows the Finns Party getting 9,3 % of the vote, but one has to remember that in both the 2011 and 2015 elections the party performed much better than predicted by the opinion surveys. The Blue Reform seems to suffer from lack of credibility: the party was essentially put together by the more populist or moderate senior party figures that also were cabinet ministers, and hence many feel that they were just protecting their own ministerial positions. The Blue Reform has also been struggling to find its own niche and agenda between the more outspokenly nationalist the Finns Party and the conservative National Coalition. The support of the Green League has declined fairly consistently over the past year. Excluding European Parliament elections, it won over 10 % of the vote for the first time in national elections in the municipal elections held in April 2017 when it received 12,5 % of the vote. The party’s popularity had been on the rise under the leadership of Ville Niinistö and peaked during the summer of 2017, with the Greens finishing even second in the polls with around 17-18 % of the vote. Touko Aalto, the new party leader, took office in June 2017 and even some leading party figures have publicly questioned Aalto’s image and leadership. The past year or so has been tough for Aalto, who has been in the headlines through his divorce, new relationship with a Green League party central office worker, and through partying shirtless in a Stockholm gay night club. 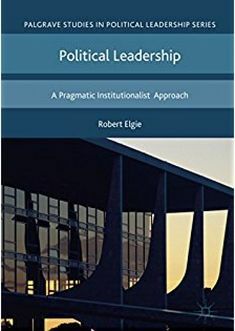 Aalto’s leadership style has also been considerably more cautious than that of Niinistö, who was widely praised for his critique of the government. Aalto is currently on sick leave due to work stress and exhaustion, and it is not clear when he resumes his duties. The latest poll indicates the Green League getting 11,6 % of the vote, which would nonetheless be around three percent more than in the 2015 elections. The Left Alliance has found an energetic new party chair in Li Andersson, and the party is doing well in the polls with 9,8 % of the vote, also almost three percent more than in the 2015 elections. Of the minor parties, the Christian Democrats would get 4,1 % of the vote and the Swedish People’s Party 3,7 %. Were these predictions to materialize, it would mean a moderate shift towards the left – but of course the right-leaning parties would still hold a comfortable majority of the seats in the Eduskunta. In terms of agenda, much depends on whether the reorganization of social and health services is indeed approved by the parliament before the elections. If it is, then there is more room for other issues such as immigration, education, or the European Union. But one thing seems fairly certain: political parties will invest most of their resources into the April Eduskunta elections, meaning that the European Parliament elections to be held in May will truly be ‘second-order’ for the party leaders. This entry was posted in Europe, Finland and tagged Finland, parliamentary election on October 17, 2018 by Tapio Raunio. By the time this blog text is published, presidents Vladimir Putin and Donald Trump have held their high-profile ‘summit’ in Helsinki. At the time of writing (12 July), the speculations are running wild about the exact location of the meeting, the arrival times of the two foreign leaders, and the agenda of the summit. Whether the meeting will produce any meaningful results remains to be seen, but the purpose of this text is not to analyze US-Russian relations. Instead, the goal is to reflect on the summit from the broader perspective of the Finnish political regime. Many commentators have quite legitimately argued that Finns are obsessed with the image of their country abroad. Small in terms of population, located in the northern periphery of Europe, Finnish decision-makers have been particularly concerned about whether Finland is seen as part of the ‘east’ or ‘west’ in Europe. Finland has stayed militarily non-aligned, and this ‘neutral’ status certainly was an important factor in Putin and Trump choosing Helsinki as their meeting place. Indeed, Helsinki has a solid track record of hosting such high-level summits – apart from the 1975 Conference on Security and Co-operation in Europe (CSCE), presidents Bush and Gorbachev met in Helsinki 1990, Bush and Yeltsin in 1992, while Clinton met Yeltsin in Helsinki in 1997. The general verdict seems to be that acting as a host to world leaders improves the image of Finland in the international community, and also offers proof that staying militarily non-aligned – that is, not joining NATO – is a successful strategy for a country that shares a long border with Russia. Similar opinions have been voiced now before the meeting of Putin and Trump, with the domestic debate full of excitement about Finland at least for one day being in the spotlight of world politics. However, the implications of the summit for the Finnish presidency have received hardly any attention. It is understood that president Sauli Niinistö had been offering Helsinki as a potential meeting place when talking previously to both Putin and Trump. While Niinistö may have had Finland’s interests in mind, hosting the summit should do no harm to Niinistö’s popularity either. Niinistö has proven extremely popular in the eyes of voters across the political spectrum, and he was re-elected to his second six-year term in January this year with a comfortable 62,6 % of the vote. This was the first time the president was elected already in the first round since the move to direct elections in 1988 / 1994. It essentially seems he can do nothing wrong, with people from the right and the left and from all corners of the country praising the work of Niinistö. Here one needs to remember the constitutional constraints on the president. Finland used to have a very powerful presidency until the 1990s, but now presidential powers are basically limited to co-leading foreign policy with the government while domestic policy and European Union issues are handled by the government. Regarding external relations, a division of labour seems to have emerged whereby the prime minister and the government are responsible for foreign policy matters handled via the EU while the president focuses on bilateral ties with non-EU countries, particularly those led by presidents. Hence the president’s room for manoeuvre is small, but Niinistö has certainly exploited his powers to the full. He has maintained regular bilateral contacts with the Russian president, showing particular activism following Russian invasion of Ukraine in 2014. Niinistö has visited the White House and has attended various international conferences on security policy, including the NATO summit currently held in Brussels. This has ensured high visibility for Niinistö in domestic media. Perhaps frustrated by his limited powers and encouraged by his strong popularity ratings, Niinistö has maintained an active presence in the media, giving interviews and not hesitating to comment on issues outside of his jurisdiction. This is more understandable in European Union affairs, as the foreign policies of EU member states are strongly linked to the development of the EU’s common security and defence policy. Niinistö has repeatedly argued that the Union should become stronger and more coherent in its foreign and security policy, but constitutionally EU matters fall under the competence of the government. Earlier this year during the presidential elections Niinistö offered to host talks about various pressing domestic issues, and recently when the possibility of government resignation surfaced, Niinistö commented that cabinet dissolution would not automatically result in early elections – suggesting thus that he might become involved in government formation although the understanding is that the president should only formally appoint new cabinets. Interestingly, surveys report widespread support for strengthening the presidency, with the public willing to give the president powers also in domestic and EU policies. Hence the forthcoming high-profile summit between Putin and Trump should be seen as logical continuation of both Finnish foreign policy and of presidential activism. No doubt Niinistö will make the most of the one-day summit, with photographs of him together with the Russian and American presidents making news headlines in Finland while the foreign media probably hardly mentions Niinistö at all. Should all go well, the summit will further boost the popularity of Niinistö while the government led by PM Juha Sipilä is experiencing serious internal disputes over its key project, the reorganization of social and health services and the associated introduction of directly-elected regional councils. When the summer is over and Finnish politics returns to normal business, the question is whether the Sipilä cabinet will indeed last until the parliamentary elections scheduled for late spring 2019. The next government will in any case have to be in charge of the rotating EU presidency in the latter half of 2019. According to the constitution the president should not intervene in government formation or EU policy – whether this division of authority is also respected in practice remains to be seen. This entry was posted in Europe, Finland and tagged Finland, president on July 18, 2018 by Tapio Raunio. In the first round of the Finnish presidential elections held last Sunday, 28 January, the incumbent Sauli Niinistö secured his re-election with a comfortable 62,6 % of the vote. This was the first time the president was elected already in the first round since the move to direct elections in 1988 / 1994. Turnout was 69,9 % (including only those resident in Finland), just below the 70,1 % achieved in the latest parliamentary elections held in 2015. Elected in 2012 as the candidate of the National Coalition, the conservative party that he chaired from 1994 to 2001, Niinistö had announced last May that he would seek re-election as an independent candidate. The National Coalition nonetheless indicated that it would endorse Niinistö’s campaign, and the party indeed campaigned quite actively in support of Niinistö. Also the Christian Democrats had decided to support Niinistö instead of fielding their own candidate. Niinistö was the clear favourite throughout the campaign. In all surveys conducted since last summer between 60-80 % said they would vote for Niinistö. Contextual factors favoured the president. The war in Ukraine and the overall aggressive foreign policy of Russia have increased tensions in the neighbouring area, with these circumstances facilitating presidential activism. Bilateral ties with Russia became more important, and Niinistö’s high-profile meetings with Putin and other leaders received extensive friendly media coverage. Here one needs to remember that Finns are used to seeing the president as the guarantor of national security, and the unusually high approval ratings indicate that voters appreciated Niinistö’s foreign and security policy leadership. Another, quite different, type of a boost to Niinistö’s campaign came in the form of an announcement in October by the president and his wife Jenni Haukio that they were expecting a baby in February. Niinistö, who turns 70 in August, has also two adult sons from his previous marriage. As the voters clearly approved of Niinistö’s track record in office, the other ‘mainstream’ candidates found it extremely difficult to challenge him. The constitutional prerogatives of the president are essentially limited to co-leading foreign and security policy with the government, and the debates largely focused on familiar themes – relations with Russia, the EU and NATO. To be sure, there were some relatively minor differences, with the left-leaning candidates – Merja Kyllönen (Left Alliance), Tuula Haatainen (Social Democrats), and Pekka Haavisto (Green League) – emphasizing global issues and equality, with Niinistö and Matti Vanhanen (Centre Party) in turn adopting more ‘realist’ positions. This was most evident in debates concerning relations with China, as two giant pandas donated by China arrived in Finland in mid-January. Nils Torvalds (Swedish People’s Party) in turn was the only candidate openly supportive of NATO membership. At least some colour and ideological alternatives were brought to the campaign by Laura Huhtasaari (The Finns Party) and Paavo Väyrynen, currently an MEP and a long-standing, popular yet controversial, Centre Party politician who was now running as an independent candidate having been the presidential candidate of the Centre Party in the 1988, 1994 and 2012 elections. Both Huhtasaari and Väyrynen utilized anti-EU discourse, with Huhtasaari in particular also advocating much stronger powers for the president, including the right to dissolve the parliament. Such sentiments are shared by the electorate, with surveys reporting that the majority of the Finns would favour a stronger presidency and that the president should be also involved in domestic politics and EU affairs. The other candidates appeared by and large willing to respect the constitutional division of labour between the state institutions, but essentially all of them nonetheless flirted with the idea of an active president that would also, if needed, intervene in domestic matters. Turning to the results, appealing primarily to the more liberal, urban, green-left younger voters, Haavisto finished second with 12,4 % of the vote. This was obviously a clear disappointment, given that six years earlier Haavisto had made it to the second round against Niinistö. The personal popularity of Haavisto combined with the recent rise of the Greens in Finnish politics undermined the prospects of Kyllönen and Haatainen. Kyllönen, an MEP known for her colourful rhetoric, finished with 3,0 % of the vote. The Social Democrats in turn had experienced major difficulties in finding a credible candidate, and Haatainen, known for her expertise in social and health policy, was clearly outside of her comfort zone. Haatainen received a dismal 3,2 % of the vote. This meant that the Social Democrats fared again really badly in presidential elections, with their more high-profile candidate Paavo Lipponen, the prime minister from 1995 to 2003, winning only 6,7 % of the vote in the 2012 elections. The main excitement in the Centre Party was whether Väyrynen, who had severed ties with his party in the early 1990s over EU membership, would beat Vanhanen who served as the prime minister from 2003 to 2010. The race was indeed quite close, with Väyrynen getting 6,2 % and Vanhanen 4,1 % of the vote. To put it mildly, the outcome was a major embarrassment to Vanhanen and his party. Torvalds received 1,5 % of the vote. Huhtasaari, the candidate of the populist and anti-immigration Finns Party, won 6,9 % of the vote. Her party had effectively split into two last June after the party congress had elected MEP Jussi Halla-aho, convicted in court for hate speech, as the new party leader. Immediately following the election of Halla-aho, the more moderate or populist wing of the party left the Finns and established a new party, the Blue Reform, which did not nominate a presidential candidate nor support any of the candidates. Huhtasaari was also the youngest (38) and least experienced of the candidates, having first entered the parliament in the 2015 elections. Hence she clearly performed well, and, together with Väyrynen, the combined vote share of the two Eurosceptical candidates was 13,1 %. Overall, the results mean more of the same. Niinistö is not in favour of NATO membership, but supports the development of EU’s security and defence policy, bilateral security policy cooperation with Sweden, and maintaining close ties with NATO, views largely shared by the mainstream parties and the public. During his first six-year term Niinistö shared power with cabinets led by centre-right prime ministers, and this clearly contributed to smooth co-leadership in foreign policy. It also facilitated presidential activism, especially since the 2015 parliamentary elections as PM Juha Sipilä has proritised domestic issues such as reviving the economy and the re-organization of social and health services. Hence the results of the next parliamentary elections scheduled for spring 2019 and the personality of the next PM will be important in terms of Niinistö’s second term in office. This entry was posted in Europe, Finland and tagged Finland, presidential election on January 31, 2018 by Tapio Raunio. The first round of presidential elections in Finland is set for 28 January, and the likelihood of the incumbent Sauli Niinistö getting re-elected is very high indeed. According to the latest survey conducted earlier this month by Helsingin Sanomat, the leading national daily, 68 % would vote for Niinistö. This suggests that Niinistö has a good chance of winning the election already in the first round, something that has not happened since the move to direct elections in 1988 / 1994. Contextual factors have clearly favoured Niinistö. The war in Ukraine and the overall aggressive foreign policy of Russia have increased tensions in the area, with these circumstances facilitating presidential activism. Bilateral ties with Russia have become more important, with Niinistö’s high-profile meetings with Putin receiving extensive media coverage. The current cabinet, led by prime minister Juha Sipilä, has also concentrated on its big projects in domestic politics, particularly the reorganization of social and health services, with the government seemingly happy to allow Niinistö to lead foreign and security policy – or at least relations with non-EU countries. Niinistö has consistently reminded the voters that we are living in unstable and turbulent times, and whether the use of such discourse is strategic or not, the heightened tensions have indeed highlighted the role of the president. Here one needs to remember that Finns are used to seeing the president as the guarantor of national security or even survival, a role associated especially with Urho Kekkonen who ruled the country for a quarter of a century between 1956 and 1981. Elected in 2012 as the candidate of the National Coalition, the conservative party that he chaired from 1994 to 2001, Niinistö announced in May that he would seek re-election as an independent candidate. The move came out of the blue, with Niinistö simply stating that the president represents the entire nation instead of any specific political party. Independent candidates are obviously common, for example in several Central and Eastern European countries, but Niinistö’s decision nonetheless came as a big surprise, not least to his old party who is now without a candidate of its own. The National Coalition nonetheless indicated that it would endorse Niinistö’s campaign. The constitutional prerogatives of the president are limited to co-leading foreign and security policy with the government and to being the head of the armed forces, but it looks certain that the campaign will also focus on domestic issues. This would probably not hurt Laura Huhtasaari, the colourful candidate of the Finns Party known for her outspoken nationalist and anti-immigration views. Her party effectively split into two in June after the party congress had elected MEP Jussi Halla-aho as the new party leader. Halla-aho, who has been convicted in court for hate speech, and the new party leadership looks set to take the party economically further to the right whilst engaging in hard-line attacks on immigration and multiculturalism. Huhtasaari will no doubt try to steer the debate in that direction. In the survey her support was just 3 %. Immediately following the election of Halla-aho, Timo Soini, who had chaired the Finns Party since 1997 and had been the key to the phenomenal rise of the party, drew his own conclusions and the more moderate or populist wing of the party left the Finns and established a new parliamentary group of their own, the Blue Reform. This enabled Soini and his colleagues to remain in the government, but the future of the group looks very uncertain at the moment. The Blue Reform is yet to nominate a presidential candidate. Of the other candidates, Pekka Haavisto of the Green League lost to Niinistö in the second round of the 2012 elections. A calm, analytical man with a strong background in UN and EU duties, the former environment minister came second in the Helsingin Sanomat survey with 13 % of the vote. Haavisto will no doubt appeal again to the more liberal, urban, green-left younger voters. This simultaneously undermines the prospects of MEP Merja Kyllönen, the candidate of the Left Alliance, whose support in the survey was 2 %. The Social Democrats in turn had clear difficulties in finding a good candidate, with Tuula Haatainen in the end nominated in early September. Her support was also extremely low, 3 %. Moving to the centre-right parties, the candidate of the Centre is Matti Vanhanen, who served as the prime minister from 2003 to 2010. In the survey he garnered 2 % support. The candidate of the Swedish People’s Party is another MEP, Nils Torvalds. The Christian Democrats decided to support Niinistö instead of fielding their own candidate. The popularity and media visibility of Niinistö raises serious problems for the other candidates. According to the public Niinistö has without a doubt performed well, particularly in foreign and security policy where his actions seem beyond criticism. This implies that at least some of the candidates have an incentive to steer the debate into policy areas not falling under the jurisdiction of the president. This would surely not be a good thing, especially as a large section of the population probably does not understand the division of competences between the government and the president. This entry was posted in Europe, Finland and tagged Finland, presidential election on September 25, 2017 by Tapio Raunio. Following the long reign of President Urho Kekkonen (1956-1981), Finnish voters elected three social democratic heads of state into office between 1982 and 2012. Four years ago this succession of left-wing presidents came to an end when Sauli Niinistö, the candidate of the conservative the National Coalition, was elected with a comfortable margin. Niiinistö enjoys strong support among the electorate, and he is a clear favourite should he seek another term in the next presidential elections scheduled for January 2018. This change reflects a broader and much more important trend in Finnish politics: the gradual decline of the left-wing parties and their close partners, the trade unions. The 2015 elections to the Eduskunta, the unicameral national legislature, were disastrous for the left. The Social Democratic Party finished fourth with 16.5 % of the vote, its worst-ever performance in Eduskunta elections, while the more radical left party, the Left Alliance, managed 7.1 % of the vote. The collective vote share of the leftist parties has declined dramatically in recent decades. Whereas Social Democrats and the predecessor of Left Alliance, the Finnish People’s Democratic Union, won over 45 % of the vote between them in all but one election between 1945 and 1966 (when they won together 48.3 % of the vote), by 2015 the electoral strength of the left had decreased to 23.6 %. After the 1966-1970 electoral period the centre-right parties have held the majority of Eduskunta seats. The prospect of a government consisting of only left-wing parties has not been realistic for several decades, and all cabinets formed after the 2003 elections have been led by centre-right parties. The dilemma facing the left, and particularly the Social Democrats, is of course typical for centre-left parties across Europe. At its core are two interlinked questions: whether to defend traditional leftist economic goals or endorse more market-friendly policies, and who the party represents. The Social Democrats have definitely moved to the right since the 1990s, and this has frustrated many of its left-leaning supporters. Such frustrations surfaced in spring 2014 when the party elected its current leader, with Antti Rinne beating narrowly the incumbent party chair Jutta Urpilainen. Rinne was very much the ‘trade union candidate’, and his victory was interpreted by many as reflecting a yearning on the part of the rank-and-file for a return to more leftist politics after two decades during which the party has, both voluntarily and under strong external and budgetary constraints, embraced more market-friendly policies. The Left Alliance is in a largely similar situation. Bringing together a variety of leftists and former communists, the party is internally divided on the left–right dimension, with the party leadership advocating ‘green left’ ideological moderation, while the working class voters more closely linked to trade unions oppose such centrist moves. The entry of the Green League, who won 8.5 % of the vote in the 2015 election, offers partial compensation, but the party is quite centrist and itself refuses to be categorized as a left-wing party. Nonetheless, following the 2015 elections party chair Ville Niinistö lamented the decline of the left as the Social Democrats and Left Alliance share many of the values or concerns of the Greens, especially fight against poverty and in moral questions such as gender-neutral marriages. The Greens are in many ways sympathetic towards trade unions, but the party is obviously rooted in the environmental movement and associated interest groups whose policies often are at odds with trade union interests. The Greens perhaps also view trade unions as old-fashioned and too hierarchical. The rise of populism further complicates the situation. The three core parties of recent decades – Social Democrats, the Centre Party and the National Coalition – have largely held on to their vote shares, but the rise of the Finns Party means that Finland now has four quite equally-sized large parties. Hence the traditional left-wing parties are competing for the working class vote with the Finns Party. In particular, there is no party offering a natural home to the people employed in the large services sector which includes a wide variety of occupational groups ranging from waitresses, teachers, and sales personnel to nurses. While the Finns Party is not organizationally strong inside the main blue-collar confederation SAK (the Central Organization of Finnish Trade Unions), in terms of party choice the Finns was the largest party inside SAK in the 2015 elections. Moreover, in 2015 SAK members were more likely to identify with the Finns Party than with either of the two traditional leftist parties. The vanishing electoral strength of left-wing parties means serious trouble for trade unions, whose influence has largely depended on especially the Social Democrats leading or being at least a partner in the ruling coalition. In comparative studies Finland is usually ranked as having one of the most corporatist systems of governance. The main employers’ organization, the Confederation of Finnish Industries (EK), decided unilaterally to abandon tripartite collective wage talks in 2007 when Finland was governed by a centre-right coalition. However, since 2011 centralized wage agreements have been re-introduced, no doubt thanks to the fact that Social Democrats re-entered the government after the 2011 elections. While the system of collective wage talks is not as comprehensive as before, many labour market agreements and laws are effectively decided in tripartite negotiations between the employers’ federations, the trade unions, and the government. Trade union density has also risen over the decades, reaching its peak during the severe recession of the early 1990s, and over 70 % of the workforce now belongs to unions. When left-wing parties are not in the government, trade unions are immediately hurt. This is again very much the case now under the current Centre-led government, which together with EK has forcefully argued that centralized wage talks are incompatible with competitiveness and economic growth. Overall, leftist parties and the unions are increasingly on the defensive in Finland, with initiatives and discourse of the centre-right parties and business interests dominating the agenda. The global and European uncertainty together with serious domestic fiscal challenges have brought about increasing criticism of leftist economic solutions. Whereas from the 1960s onwards leftist parties and the unions were often behind important and popular socio-economic reforms, today they mainly focus on defending the status quo. The current economic climate, including large national public debt and the associated need to cut public expenditure, is far from ideal for advocating traditional left-wing policies and the situation is unlikely to change in the next few years or at least not before the next Eduskunta elections scheduled for 2019. This entry was posted in Finland and tagged Finland on October 24, 2016 by Tapio Raunio.